Rugs and runners that creep across the floor or bunch and wrinkle with foot traffic, are not only unsightly and cause the constant inconvenience of requiring straightening – they also present a trip hazard. 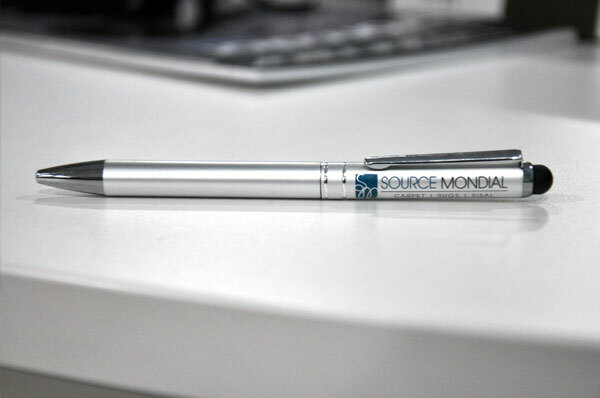 Source Mondial stocks an excellent rug grip product which is highly effective in preventing creeping and bunching, and which also offers the additional benefit of being a cushioning underlay pad. • Ideal in heavy traffic areas. The grey side is ideal for use on any hard flooring surface. Place the underlay grey side down facing hard floor; then place the rug on top of the white side. 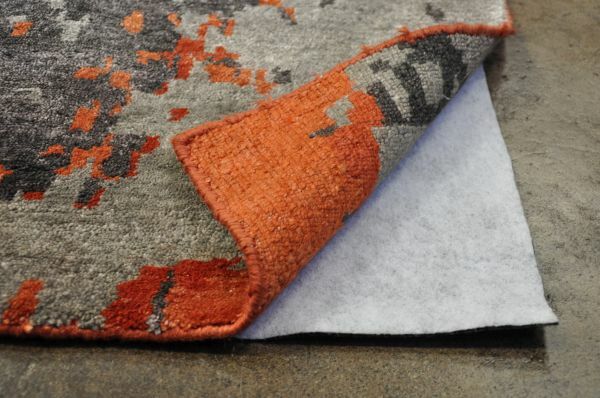 It is recommended that rug grip is not used on new carpet until sufficient time has passed to allow loose fibers in the carpet to shed and be removed by vacuuming. Place the underlay white side down facing carpet; then place the rug on top of the grey side. Prior to installing our rug grip, the floor should be vacuumed, clean and dry. Do not install the rug on a wet floor. In order to obtain a long lasting non-skid performance, avoid frequent removal and re-installation of the rug grip. 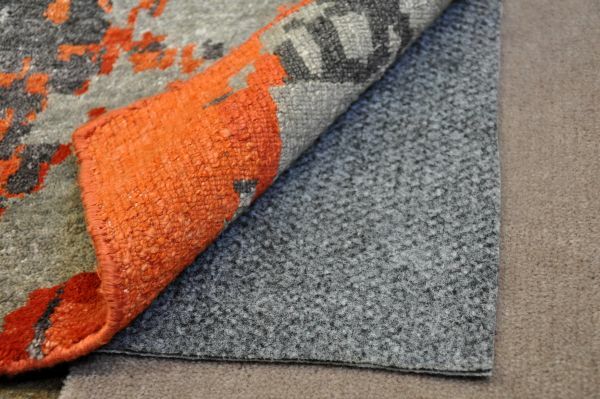 Our rug grip is available in a pre-cut pack, 0.6m x 1.2m. This can be used in one piece or can be cut into strips and applied around the rug perimeter, with additional strips applied to the centre if required. For certain products (e.g. 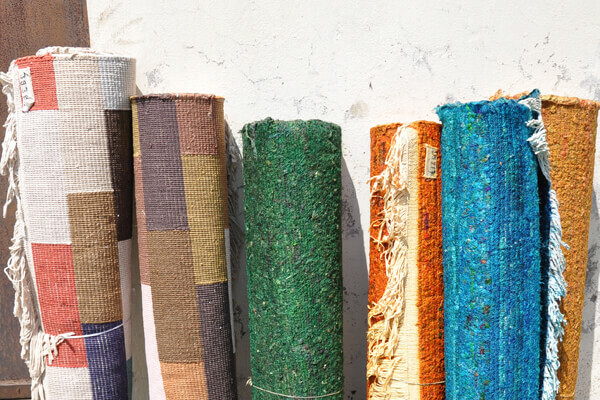 runners, flat-woven product), we recommend that rug grip be applied to the entire underside of the rug or runner. We can cut rug grip from the roll to the exact dimensions required.